The demonized speaking style of young women, including uptalk and vocal fry, confers a social advantage and carries covert prestige. I Uptalk and I Creak. Your Complaints Won’t Change That. Photo illustration by Derreck Johnson. Images via Thinkstock. Articles with headlines like “Things Women Do When Speaking That Really Annoy Me” have appeared ad nauseam in recent years on blogs, in newspapers, and even on network newscasts. As if centuries of policing our bodies and our behavior were somehow insufficient, the precise pitch and vibration of our every utterance is now a subject of debate. An obsession with women’s voices is so common among radio and podcast listeners that some in that industry have struck back, defiantly and unapologetically, against their own audience. Don’t like the way we sound? Then don’t listen! One of the more discordant cries of the Voice Patrol is an it’s-for-your-own-sake argument about how an “immature” delivery—too much of the word just, habitual apologizing, adding -uh to the ends of sentences—can prevent women from being taken seriously and even hold us back professionally. (Never mind that for someone predisposed to dismissing women in the workplace, a vocal makeover is unlikely to spark an awakening.) But this overlooks the fact that, for young women in particular, employing the stereotypical characteristics of female speech can confer a social advantage. 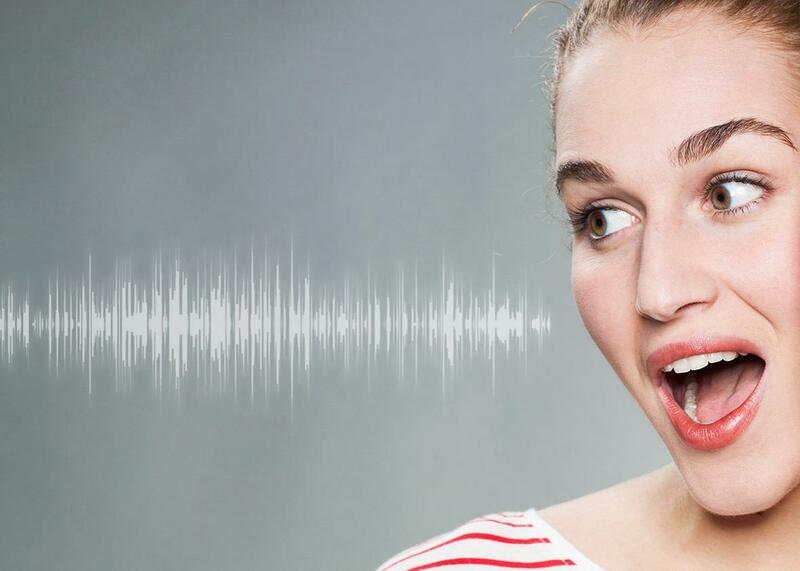 It’s been shown that in settings where only women are present, we often code switch to an exaggerated “woman’s voice.” This can be interpreted to mean that women relax into a more natural speech pattern when no longer “performing” for a male audience. It’s also possible, however, that “feminine” speech features are actively valued in our relationships with other women. The very traits that men (and sometimes older women) tend to vilify are semantically significant parts of intrafemale speech. In fact, if I didn’t vocal fry or uptalk, and didn’t make liberal use of the much-maligned you know?, my speech would sound stilted and strange to many in my college cohort. Uptalk—ending statements in a slightly elevated pitch as if phrasing a question—invites interlocutors to respond and keeps channels of conversation open. Use of just, beautifully defended here, is either empathetic (“That sounds like it was just awful”) or a polite way to soften a command (“Could you just photocopy this for me?”). And a recent journal article argues that vocal fry (or creaky voice, as linguists call it), is a useful device that marks parentheticals in speech. It also happens to be a built-in part of some languages around the world. And—surprise!—a lot of American men do it, too. But something else is going on here. Research (first conducted by William Labov, “grandfather of sociolinguistics”) has shown that a given speech variety that deviates from, say, Standard English, is often imbued with “covert prestige”—a kind of sneaky, unexpected cachet among its speakers, who gain power and authority from an in-crowd argot or style. Such speech varieties are typically associated with marginalized racial or economic groups, but it’s the same principle when applied to young women. Apart from infusing meaning or implying politeness, many of the markers of women’s speech carry this prestige, even if the speaker isn’t aware of it. The voice qualities that are casually derided in male-dominated media and office culture now make up a kind of “high” register—a way of talking that suggests a woman with social and economic mobility, femininity, youth, and vigor. No one is likely to wake up one morning and decide, I’m gonna start talking like a Kardashian, but it’s undeniable that, for all the criticism they receive, Kim, Kourtney, Khloé, et al.—a clan of inveterate uptalkers and creakers—are social and linguistic role models. So did we create the Kardashians or did they create us? Are young women performing these speech features because they believe them to be emblematic of status and standing, like a fashionable dress, or are they spreading more organically throughout dominant subcultures? Like with much language change, a combination of subconscious, peer-influenced adoption, and other factors is at work, and young women like me code switch—or don’t—without thinking about it. With New York magazine, Slate, and other outlets now shaming the shamers, it’s possible that media will finally judge the Voice Patrol for what it is: petulant, condescending, and sexist. But really it doesn’t matter. Let the Patrol put up as many “No Trespassing” signs as it wishes. Meanwhile, young women will continue to tread all over its linguistic lawn, innovating and inventing as we have for centuries. It’s just, like, the way we are, you know?